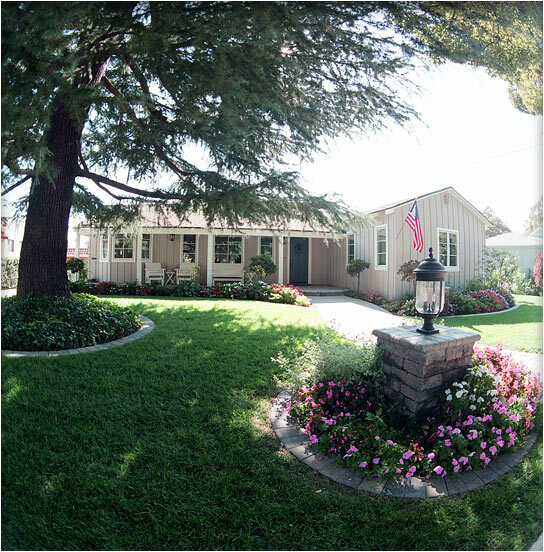 Medium Project 5, Photo 1 » Roger Perron Inc.
For Glendale clients, this charming home has been in the family for years. We completely remodeled the interior and also remodeled the exterior with new windows, roof and gutters. The yard was re-landscaped and pavers were used for walks and driveway. The new construction garage (not shown) was built with a two-car garage and additional space for a workshop.